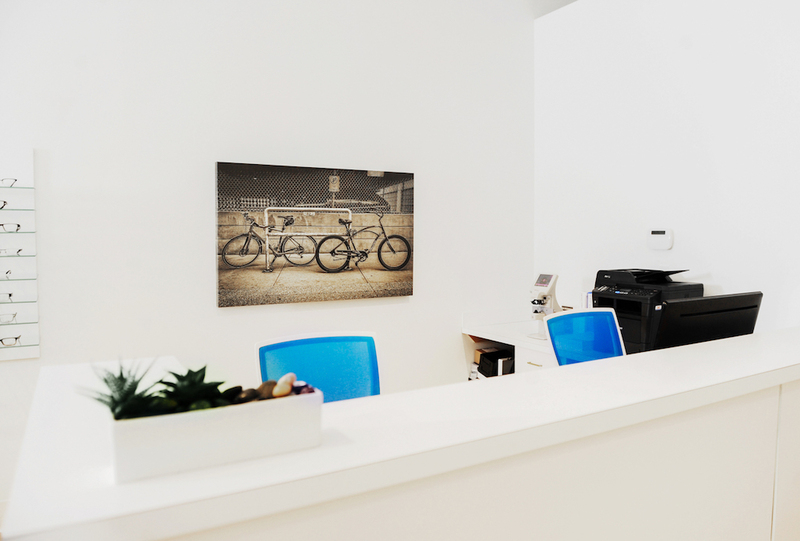 This modern part-medical-office, part-retail-space sits in the heart of Calgary’s downtown. 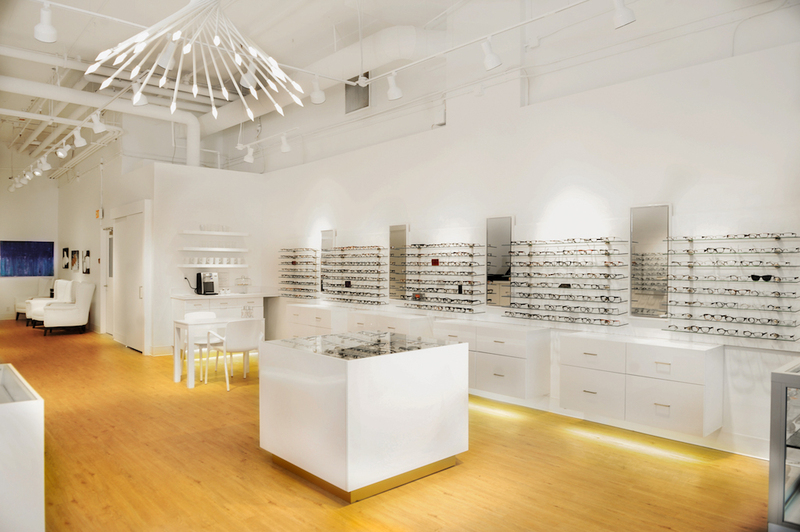 We drew up the design with the idea of creating a giant, life-size jewelry box in which the eyewear would be the bold, eye-catching statement baubles. 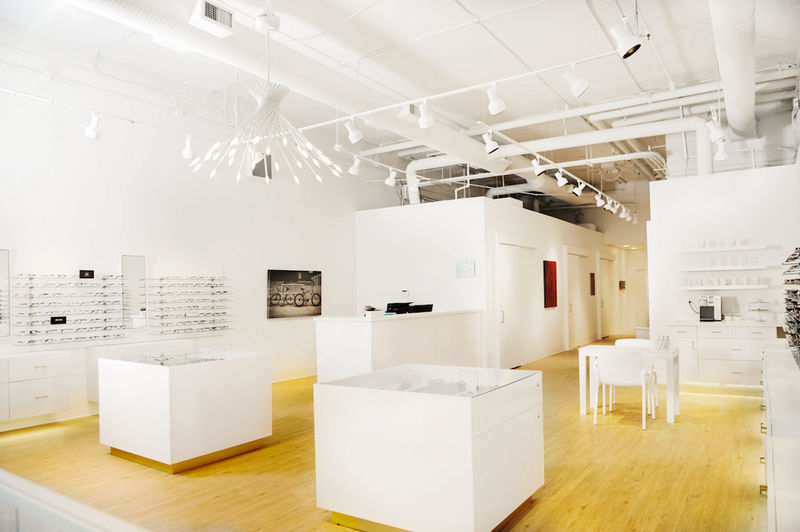 Custom high-gloss white display cases dot the floor, showcasing the shops’ high end spectacles. 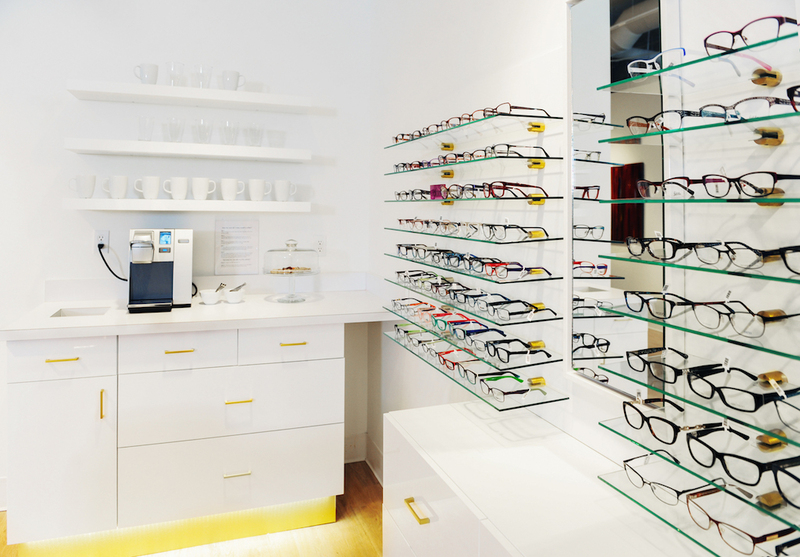 The client needed lots of room to show off his wares and allow access for patients/ shoppers to try on the goods. 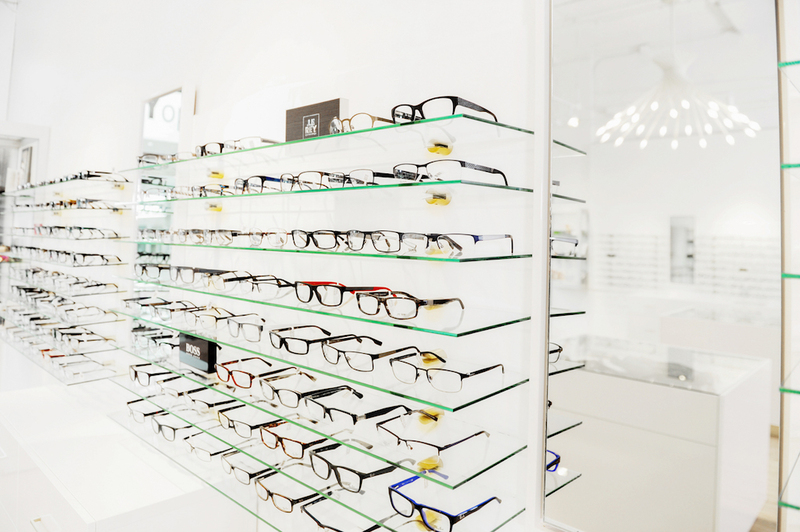 By installing floating glass shelves around the perimeter of the store, we met this need while keeping with the rest of the spaces’ clean lines and taking up minimal visual space. Polished brass hardware adds the perfect amount of luxe to the office, while modern light fixtures draw the eye up maximizing the high ceilings. 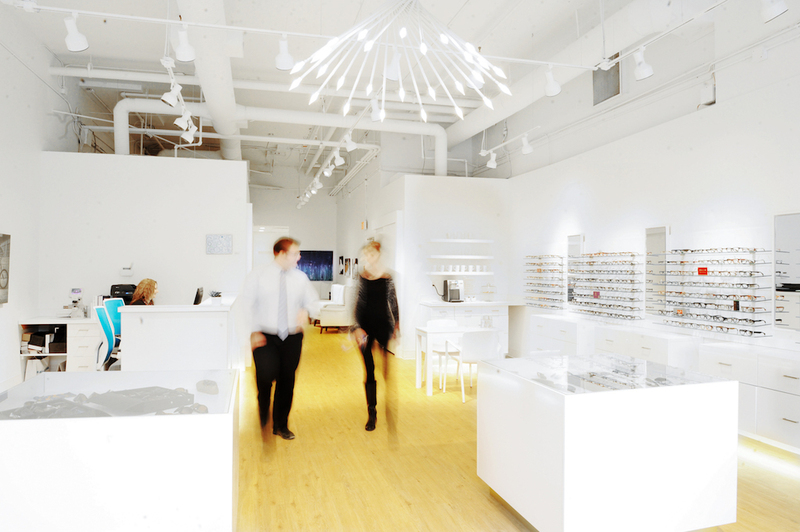 At the back end of the space sits the optometry clinic. 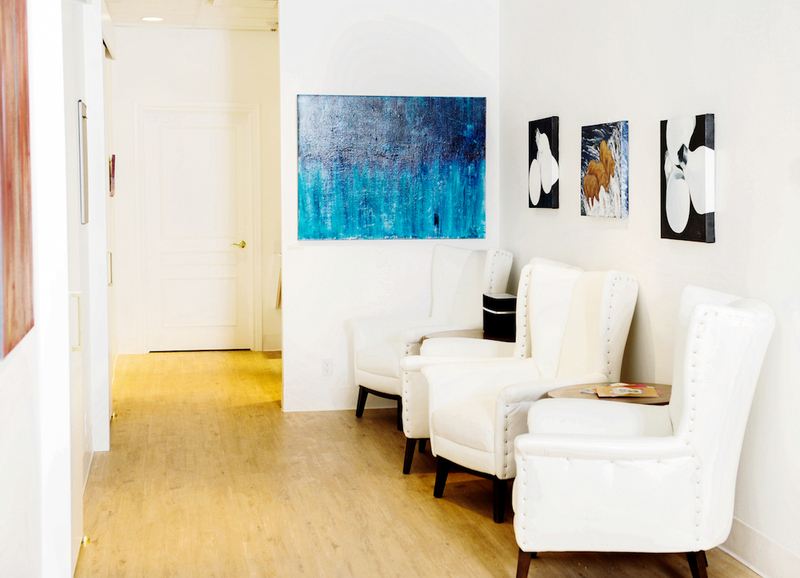 We had custom wingback chairs commissioned for a seating area for patients. Pieces of colourful and graphic artwork were handpicked to complete this quiet nook. 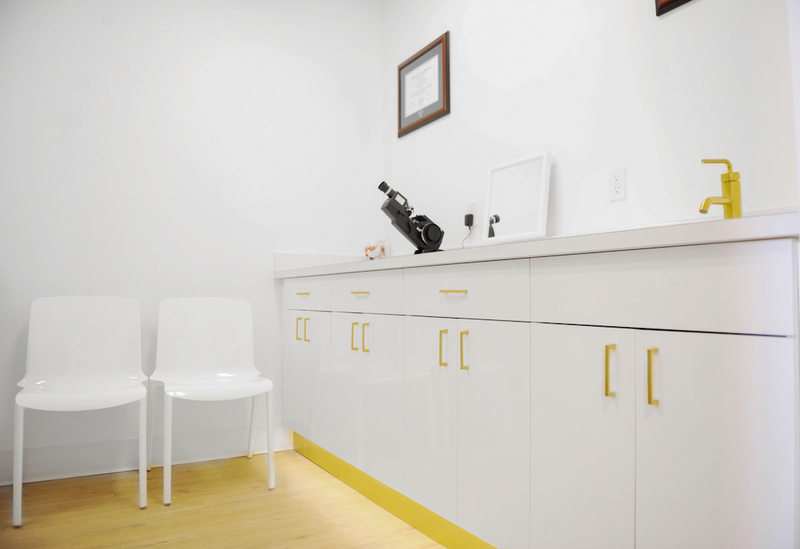 A brightly lit hallway leads to private exam rooms and an eye washing station. 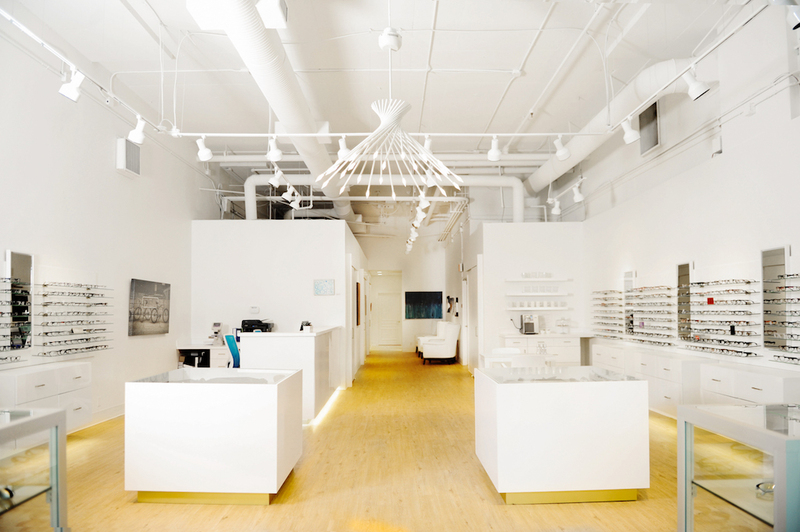 In all of these rooms, we mirrored the modern, minimalistic look of the retail space- bright white cabinetry and brass hardware give the rooms a posh, gallery feel rather than your typical out-of-touch medical office. 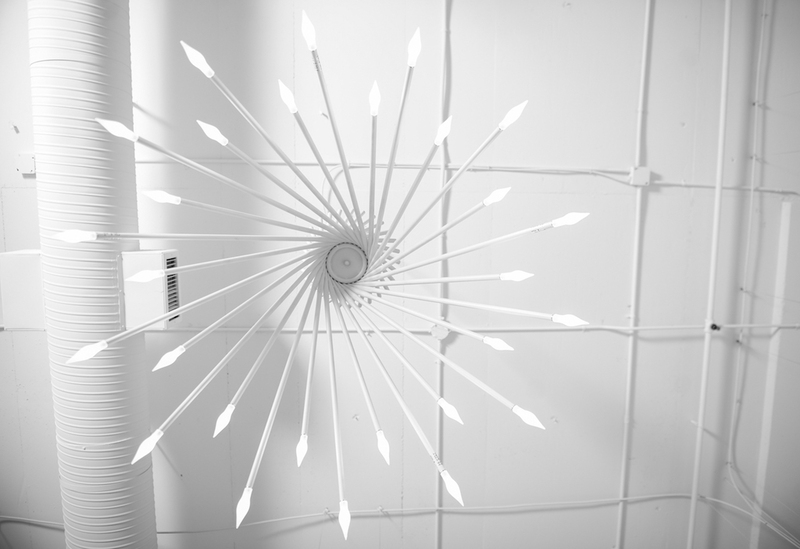 Design & Decoration: Interior Design Shoppe in collaboration with Lush Interiors.